With a crowded internet filled with blogs and podcasts and websites to browse, it can be really difficult to stand out. Today on the podcast I’m bringing you tips for building traffic! I’m also going to share why I don’t think traffic is the bee’s knees (as in, my main goal is NOT to build traffic). As a quick note, I am spending a whole MONTH talking about traffic in my paid membership community. We’ll have exclusive interviews and resources and a guide to traffic. If you want to see what this exclusive community and training is all about, you can try your first month for $1! 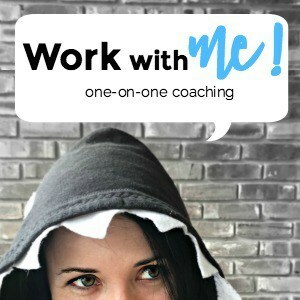 You’ll have access to hours of video trainings and join our private Facebook group, plus get weekly email check-ins from me. Check the Create If Community Membership! When we talk about traffic, we are talking about how many visitors you have on your blog, usually measured monthly. There is a difference between pageviews and unique monthly views, but for now, I’m talking about pageviews. In the old days of blogging, you wrote blog posts and people came. I like to think of this as Field of Dreams blogging: if you blog it, they will come. When I started in 2007, that’s how it worked. People found me. I didn’t seek them out, and I certainly didn’t promote my blog. Social media wasn’t really used for self-promotion back then. 2017 is a different world. If you write a blog post, hit publish, and do nothing else, chances are that maybe like 10 people might read your post. No one will just “find” it (unless you do a great job with SEO). Few people will share it (unless you first share it yourself). These days, you have to WORK to get traffic. There are two main ways that you can build traffic to your site. Bring people to you by promoting on social media. This means actually pushing your link out over social media so that other people will see it, click to read, and maybe even share. Combine great SEO with promotions on social media, where you will see short-term spikes of traffic. It’s great to diversify your traffic sources so that you can have a more secure foundation in case something major shifts or an algorithm kills off your traffic. As for Pinterest, it is considered a social media platform, but there is very little social anything happening there. Pinterest has continued to shift into a visual search engine. I have had several pins that continued to drive hundreds and thousands of pageviews a day even when I pinned them one time, YEARS ago. Yes, I do pin daily. But the traffic from Pinterest acts more like search engine traffic– it comes passively over time and is impacted by keywords and search. How can you grow the traffic you currently have? In theory, this is simple. Choose #1 & #2 (or, ideally, both) and work on your game. In practice, this is obviously not as easy as it sounds. SEO is more of a long game, which means that you can put things in place now and hopefully see some increases in the coming months. But the benefit is that after you set up SEO, it keeps going. Social media is more of a short game that will result in temporary traffic spikes. I’ve had a post go “viral” on Facebook that resulted in 50k pageviews in a few days. But then it dropped to 2k and then 500 and then…nothing. Social media is something you need to do once and then do again and then do again. In fact, a lot of people will say that you should spend 20% creating content and 80% PROMOTING. Yikes. But what is the purpose of building traffic? If you are building an ads-based monetization strategy, straight-up traffic is what you want. Numbers = $$$. But it takes a LOT of traffic to make a significant impact. For reference, one of my sites gets between 10k-20k pageviews per month and I get about $200 or less in ads revenue. Traffic is fragile. So if you are building on straight traffic and straight ads-based revenue, you are building something delicate. One algorithm change and everything shatters. So it’s important to think about how to capture traffic and what you want those visitor so DO on your site. My biggest recommendation is (surprise, surprise): EMAIL. The most permanent way that you can connect is by getting people on your list. Email is also a third, not as often talked area in terms of building traffic. You also may want them to read more posts, check out your about page, or generally hang out for a while. So you can work on optimizing your site in a way that encourages reading, clicking around, and signing up for your email list. 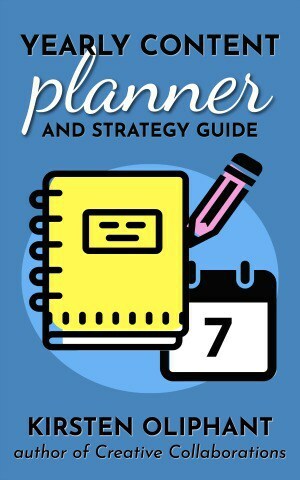 It makes #5 on Neil Patel’s great list of ways to build traffic! Make sure as you think about ways to build traffic that you are thinking about WHY. You need a purpose. You want people to DO something. 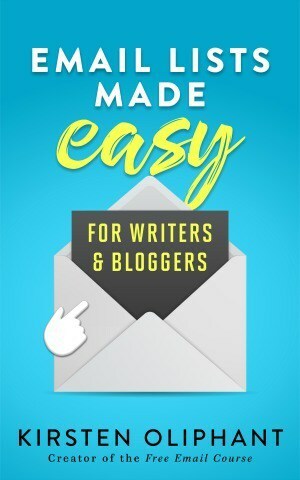 At the least, try to connect in a more permanent way with your readers by getting them on your email list. This is NOT an exhaustive list, but a few things that have been working for me in 2017. Also! I want to make a big note that in these things that are working, not ALL of them are about building traffic to my site. Many of the things I’m doing are about sending people to a landing page for my email list. So…why am I including them? The reality is that whether you are asking someone to click to a blog page or a landing page for email, these tips ask people to click through to something. And these tips are working right now to get people clicking. I am simply focusing on my list right now and making that a priority over blog traffic. As I mentioned before, traffic is fragile. It can be awesome, and there is something powerful about having millions of pageviews a month. I have friends doing that and they are making more than full-time incomes on their blogs through ads and sponsored posts and other revenue streams. Since my main revenue streams are NOT related to ads or sponsored posts, I utilize my email list primarily to build relationships and offer products and services that fit their needs. Yes, I’d like to build my blog traffic. But it’s not my main thing. Utilize timely or time sensitive things. I did an experiment with social media over the last month. I scheduled out daily posts to Facebook, Twitter, and LinkedIn advertising one of my big freebies, Seriously Simple Social. I found that I got less than 50 in total for the month. Meanwhile, I held a webinar and started signups for Summer School, a 6-week free class I’m holding this summer. In just a few days, I more than doubled the other signups. 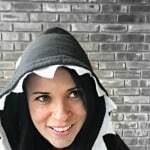 Even though these were events with email signups, you could try something similar by promoting timely blog posts– like my boredom busters for kids, which I promote more heavily at the beginning of summer. Post to popular Facebook pages. I’ve seen the power of large Facebook pages sharing your posts. See this list of pages who allow or encourage sharing HERE. Basically, you can post on their page wall, where the post isn’t super visible to regular visitors, but the page owner will see it. If it’s a good fit, they will share it themselves on their page so it IS visible. When I had that 50k pageviews in a few days, it was from several large pages sharing my post. Post with GREAT DESCRIPTIONS to Facebook group share threads. If you are a member of 1 million Facebook groups like I am, you’ll know that there is usually a no-promo policy. This keeps everyone in the group from posting their blog links 100 times a day. (As a group owner, trust me that I delete a billion of these every day.) There is often a thread once a week where you can share your links. Many people miss this opportunity by just literally pasting a link in that thread. The people who see the most engagement and clicks are those who put a description and actually talk about their link and give a mini pitch. Get excited about your own content. This is a tip from Paula Rollo of Beauty Through Imperfection. (She shared it in her Quick Blog Tips Group, which you should join!) She pointed out that often when we promote other content, we gush and give a great testimonial for why people should read. Then, for our own content, we say something like “Read my latest post.” We can tell people our content is great without being smarmy. I know it’s often hard to talk nicely about ourselves and it can feel…off. But if you believe in your own content (and you should), then give people a reason to read! 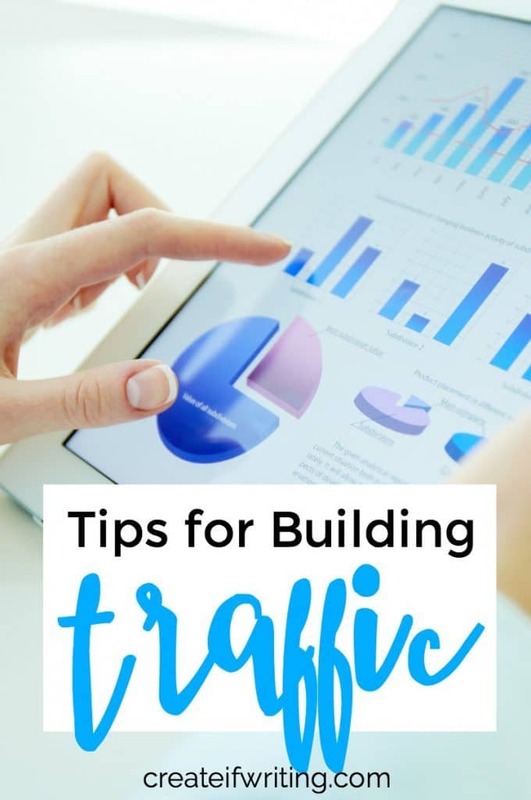 There are TONS more tips for building traffic, but these are a few specific actions that are helping me see results! Want to up your blogging game this summer? 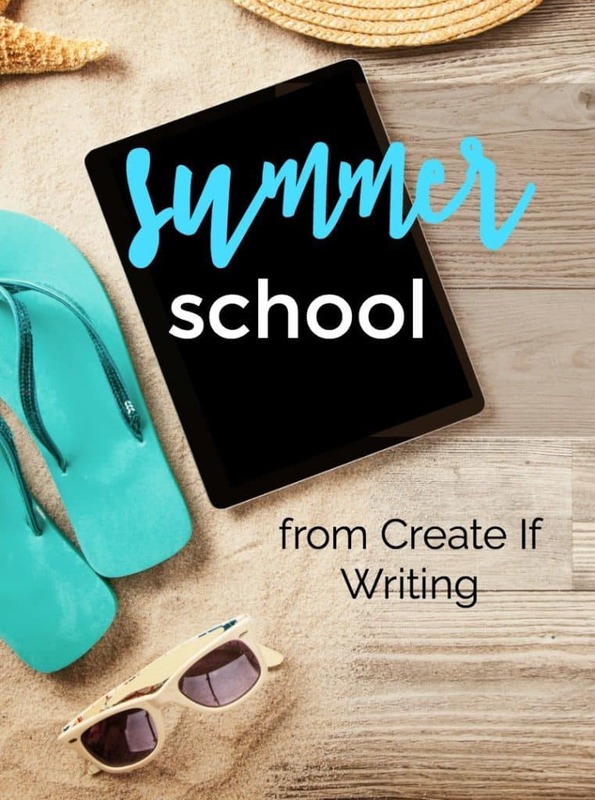 Join me for Summer School! You can choose to focus on SEO, Blogging, or Building Your List (or all three!) after you register. You don’t want to miss these classes, which start on June 15!